Do you know someone who’s life would be enhanced by owning a computer but cannot afford to buy one? They may qualify to receive a free computer from The Community Computer Connections Program. 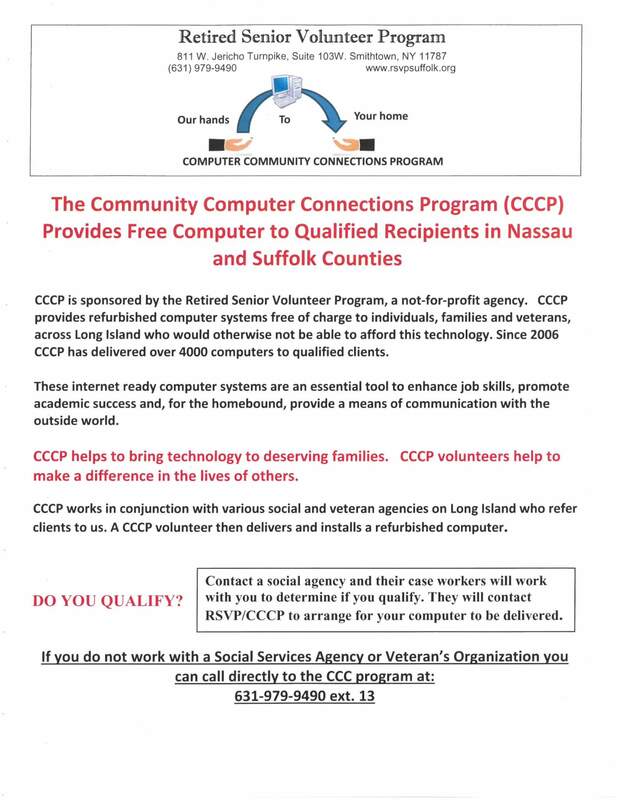 They can find out if they qualify by the calling the CCCP program directly at 631-979-9490 ext. 13.